Lacquered Geek: Fall Favorites presented by HPB! Fall Favorites presented by HPB! Hi guys! 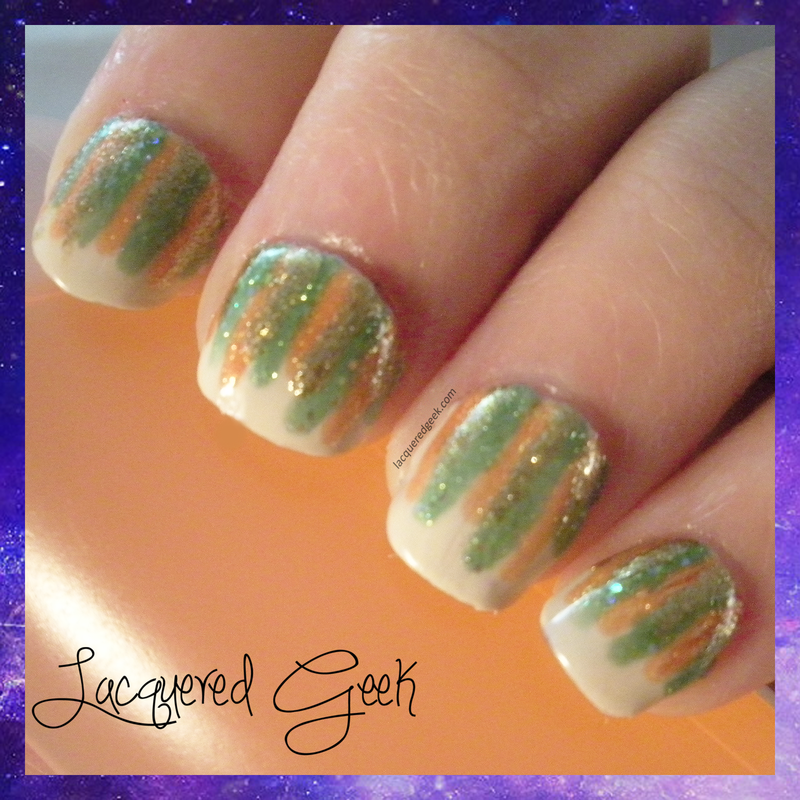 It's time for another monthly link-up from Hobby Polish Bloggers! This month the theme was Fall Favorites, and I decided to share one of my favorite nail art looks using some of my favorite Fall colors! 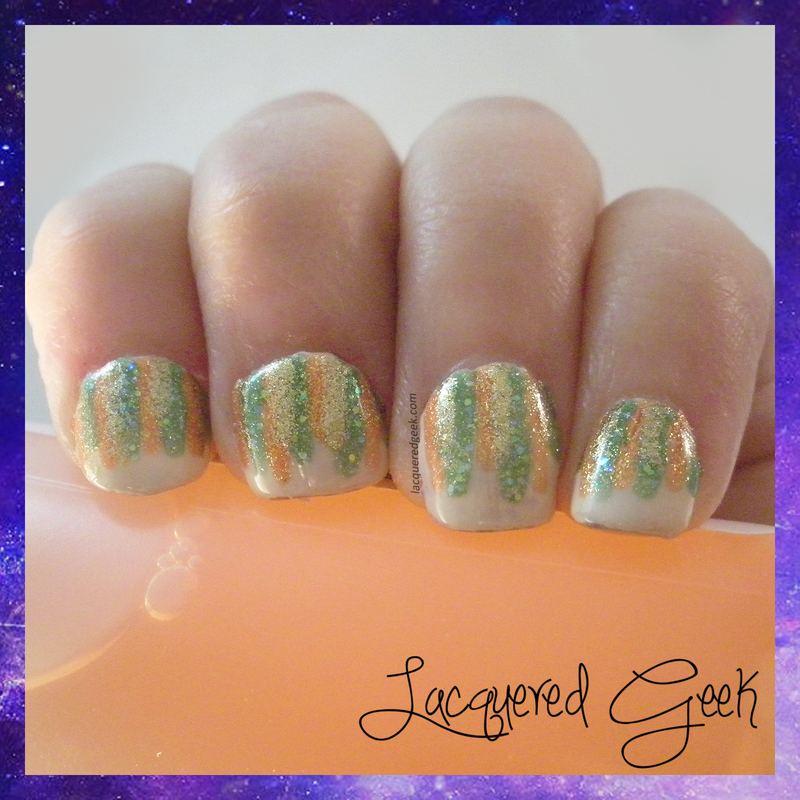 I love waterfall manis because they are super easy to create. You just need your base color, a few colors to use for the design, and either an art brush or toothpick (easier with a brush, but I've done it with a toothpick before). I was in a bit of a hurry when doing this one, and I didn't really get my lines varied enough. Ideally, your lines will vary in both length and thickness. For this look, I used OPI "My Vampire is Buff," Zoya "Stassi," Zoya "Tanzy," and Zoya "Ziv." I don't think I would use Ziv again because it doesn't show up very well against the other colors. Maybe a good dark purple instead! Be sure to check out some of the other Hobby Polish Bloggers' Fall Favorites below! 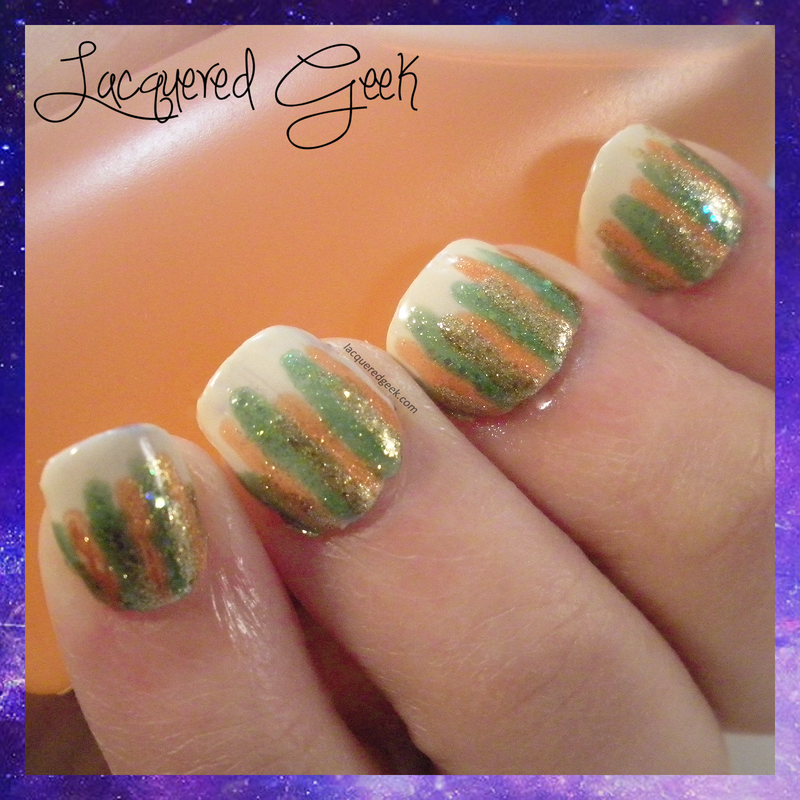 Pretty mani-you have reminded me that I need to do more waterfalls. I think I have only done one over the last two years. Maybe HPB can do a waterfall blog hop. I wonder if Step would go for it. I love this mani!! I can even see switching out the green and orange for red and silver for Christmas!